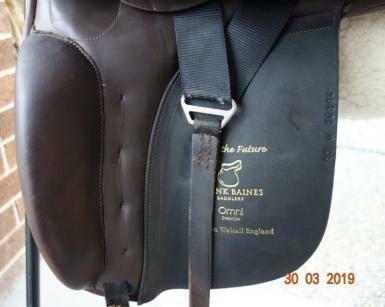 Beautiful UK made Frank Baines Omni Dressage saddle in a lovely dark rich brown. 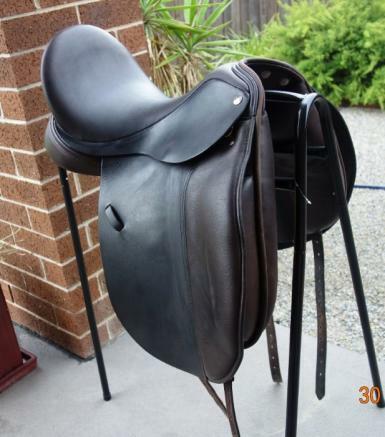 It has a wide gullet and is in excellent condition. Deep seat. 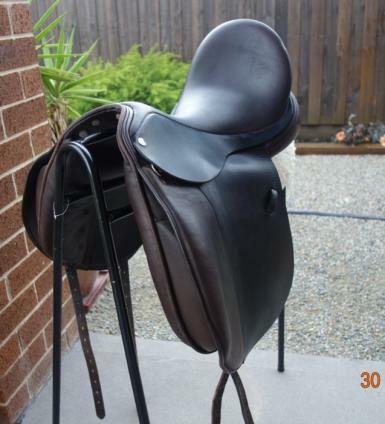 This saddle comes with a 7 day trial Australia wide. 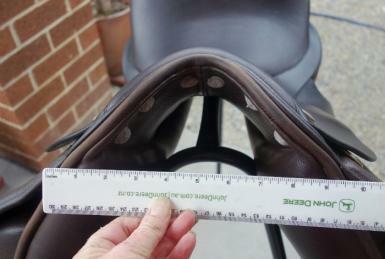 One of our deepest seated Saddles in our Dressage range. 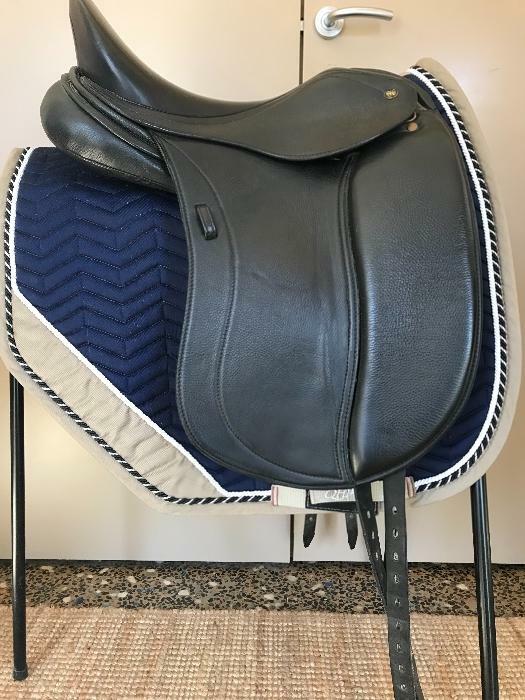 Offers the rider a secure, stable and balanced feel in the seat whilst still allowing the rider and horse to communicate in harmony which is essential for the highest level in Dressage. 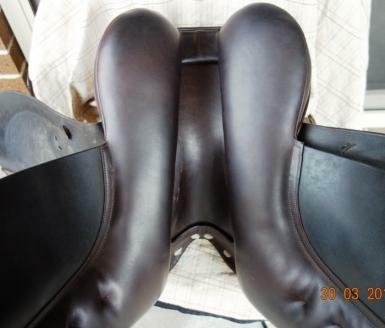 A large moulded blocked pad, together with a generous knee block, enables the rider to have superior close contact feel in the leg and still allow full support.